Posted on February 22, 2010 by Deli Lanoux, Ed.D. Our second visit to Our Lady of Guadalupe Church in Hebbronville was met with smiles. Rosita and Julie (in green), a devotee of St. Anthony of Padua, chatted with us as we waited for Azalia to give us a VIP tour. For many years, Julie has celebrated St. Anthony’s feast day by distributing homemade bread and prayer cards. She also prays the novenas. Like Julie I, too, have collected prayers, cards, and photos over the years. My love for St. Anthony began at age thirteen when my great-aunt, Tía Queta, introduced us through a prayer card she gave me. Of course, my favorite pictures of St. Anthony are those that Segy took knowing how much I’d enjoy them. Steven called and asked me to locate a very important file, but I didn’t find it. Feeling somewhat perturbed, Steven said he’d look for it when he got home, so we hung up. A few minutes later, Steven emailed. I was more forward-thinking than I give myself credit for. I figured I’d be asked for information, so I put the folder in the briefcase in the vehicle so I would have it with me. Duh! Thanks for looking. Had it here all the time. Oh, darling! 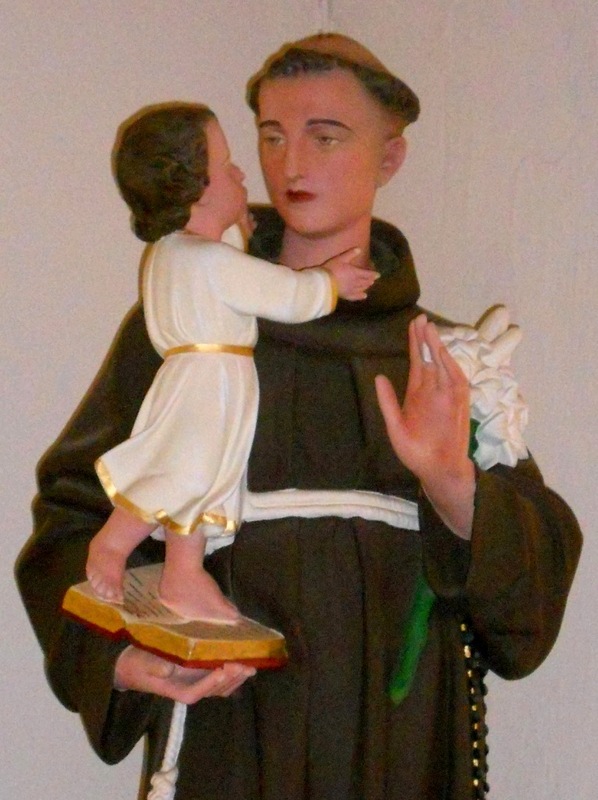 You owe St. Anthony… whose photos I’ve been resizing for a post since before you called… a HUGE thank you! Mom didn’t believe me either. One afternoon I went by mom’s after work, and she was going nutz. She’d looked for her diamond ring for days and couldn’t find it anywhere. She rolled her eyes and snickered. Clearly, she was exasperated from looking everywhere she could think of. Mentally, I asked St. Anthony to find the ring for her and then headed out the door to drive home. When I got home, I had a phone message waiting for me. Mom had looked again in the piano bench just as she’d done many times before. Only this time, amazingly, she’d found her ring atop the music books as if someone had just placed it there. Sooo, yes. I’m a believer. And you should be, too. Two Saturdays ago, Steven used the UT parking permit he’d checked out at work when we attended Fiddler on the Roof at the performing arts center in Austin. Only it was nowhere to be found when we got home on Sunday. We looked everywhere… in our books, in the vehicle, in our suitcases… many times to no avail; so, having no other recourse, I called on St. Anthony once again. As Steven said, it wasn’t that he’d have to pay for a replacement. Rather, the office has too few for any to be misplaced; so we really wanted to find it. When Steven got home from work today, he started packing. He has a meeting at UT tomorrow morning, so he reached for the book he’d taken to Austin the last time. He hadn’t opened the briefcase, much less read the book in Austin. Seek God’s kingdom above all else. Make it the most important thing in your life. Everything else must be sought in view of this kingdom; nothing should be asked beyond it. Whatever we ask must serve this end (St. Anthony of Padua, 1195-1231). 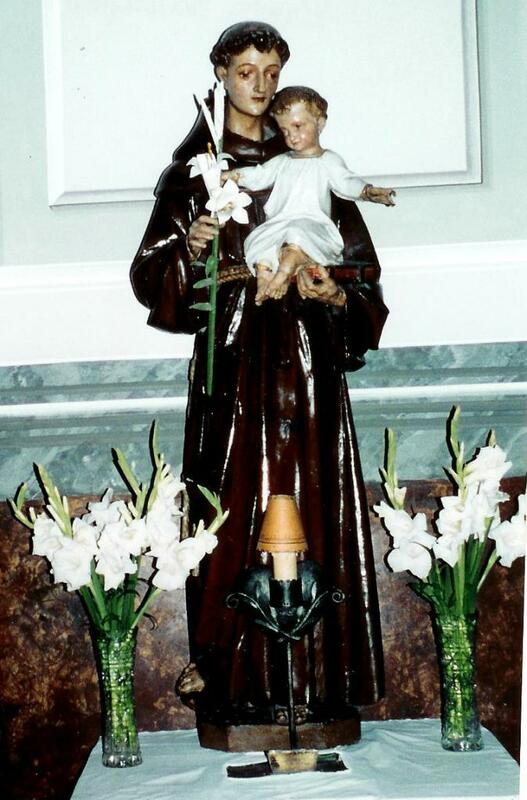 One… O good and gentle St. Anthony, your love of God and concern for his creatures made you worthy, while on earth, to possess miraculous powers. Come to my help in this moment of trouble and anxiety. Your ardent love of God made you worthy to hold the Holy Infant in your arms. Whisper to him my humble request if it be for the greater glory of God and the salvation of my soul. Amen. Two… Anthony, through your teaching and preaching, you bore witness to the loving presence of God in all of creation. Now that you have come into the fullness of the kingdom, pray for us that our lives might also proclaim the good news of Jesus Christ to all humanity. V. Pray for us, St. Anthony. R. Help us become worthy of the promises of Christ. Almighty, eternal God, you have given your people St. Anthony as an outstanding preacher and intercessor in times of need. Grant that with his help we may follow in the example of Christian living and experience your support in all adversities. We ask through Christ our Lord. Amen. 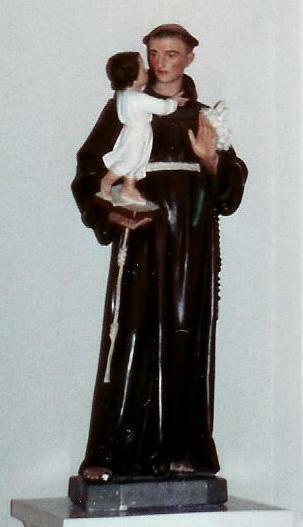 Three… St. Anthony, gentle servant of God, help me find ways to honor God’s blessings by showing my love for all of God’s creatures. Share your strength that I may cope with the trials and troubles of daily life. You, through whose voice the Word of God was preached, intercede for my need [mention your special request]. Powerful patron, be with me always and teach me to reach out in love and support to others. Amen. 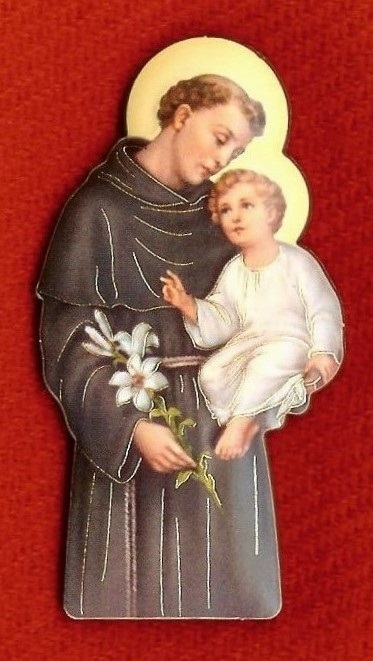 Glorious St. Anthony, I salute you as a good servant of Christ and a special friend of God. You once were favored to hold the Christ Child in your arms as you cherished his world in your heart. Today I place all my cares, temptations, and anxieties in your hands. I resolve ever to honor you by imitating your example. Powerful patron, model of purity, and victor over fleshly impulses, please win for me and for all devoted to you perfect purity of body, mind, and heart. I promise, by my example and counsel, to help others to the knowledge, love, and service of God. Amen. Our health… St. Anthony, pray for us. Our peace of mind… St. Anthony, pray for us. Our housing… St. Anthony, pray for us. Our financial security… St. Anthony, pray for us. 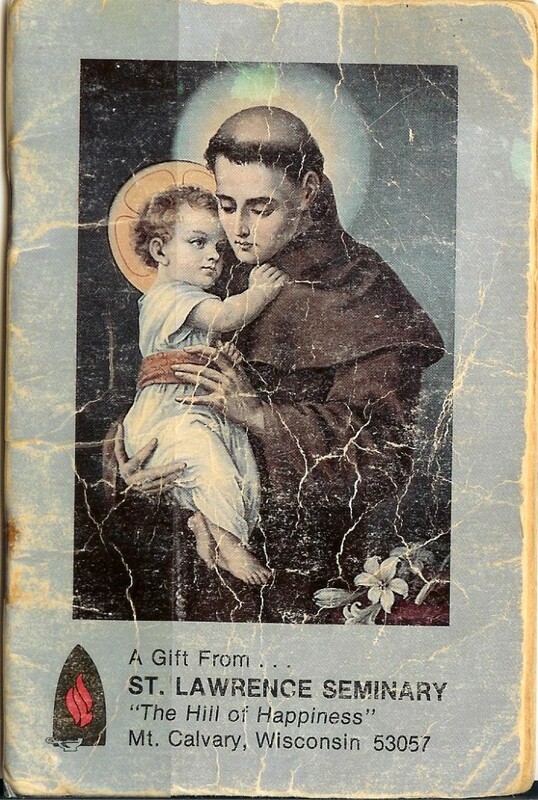 A loved one… St. Anthony, pray for us. Our dreams… St. Anthony, pray for us. Our talents… St. Anthony, pray for us. 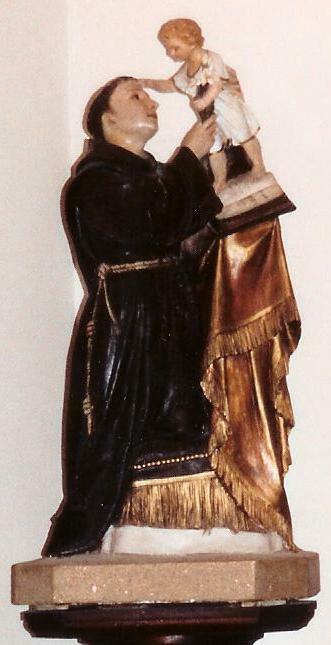 Our initial zeal… St. Anthony, pray for us. Our sobriety… St. Anthony, pray for us. Our faith… St. Anthony, pray for us. Our self-respect… St. Anthony, pray for us. Our perspective… St. Anthony, pray for us. Our innocence… St. Anthony, pray for us. Our independence… St. Anthony, pray for us. Peace within our families… St. Anthony, pray for us. Civil peace… St. Anthony, pray for us. Our trust in others… St. Anthony, pray for us. Our virtue… St. Anthony, pray for us. Our home… St. Anthony, pray for us. Lamb of God, you take away the sins of the world. Have mercy on us. All loving God, you have given us St. Anthony, the patron of the lost, as an intercessor of those who are in need of your mercy. Listen to his voice as he calls out to you on our behalf and grant those things which will help us to grow in your love. We ask this through Jesus Christ our Lord. Amen. To order A Collection of Favorite Prayers from the St. Lawrence Seminary, contact the school. The addresses for the other booklets can be found on the “credits” page. Hi, how are you? Everything is well here. Just getting ready for the county fair. Shared the blog entry with Father Frank, and he shared it with Rosa. Rosita loved it and remembers you all as very special. Julie has been sick all week, so I haven’t seen her. Please pray for her. Rosa says “hi.” Hope everything is good for you. Hope to see you soon. Azalia, it’s wonderful hearing from you! Listening to your email is like chatting face to face. But, of course, I think of y’all daily; so maybe that’s why your voice is so familiar. Thank you for sharing the entry with Father Frank and Rosita. I’ll certainly be adding Julie’s name onto our petitions page on the church blog. Please tell her I know she’ll be up and about very soon! I told Steven just a few days ago that I’m already gearing up for another visit to OLG in Hebbronville. I want very much to attend Mass there and have you introduce us to Father Frank. Sooo, until then, many blessings to y’all. I want to say “hi” to Rosa and Julie. We, too, are OLG and St. Anthony devotees. Thank you for your thoughtfulness, Doug! 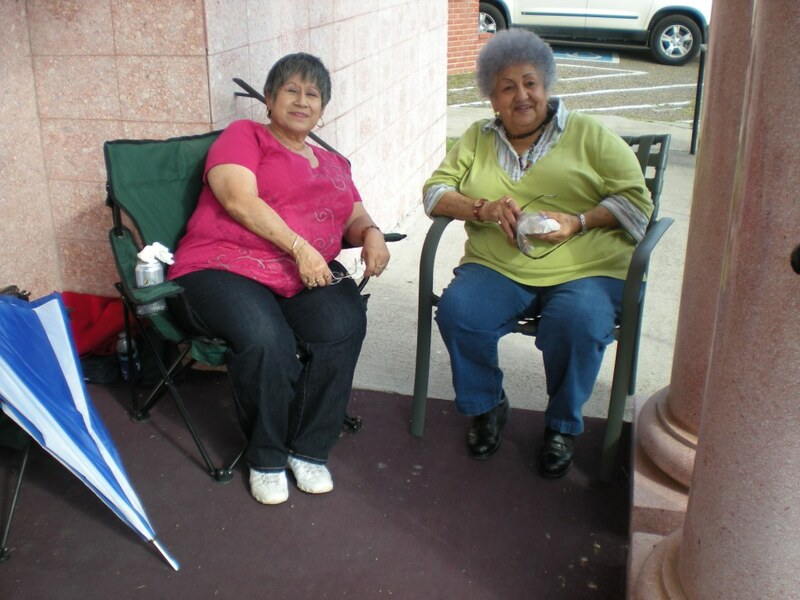 No doubt Rosita and Julie will enjoy receiving your online greeting. I often think of the girls as well as our two visits to Our Lady of Guadalupe Church in Hebbronville. We met some very nice folks there. I’m also glad to know that we’re building community through our devotion to both Our Lady and St. Anthony. 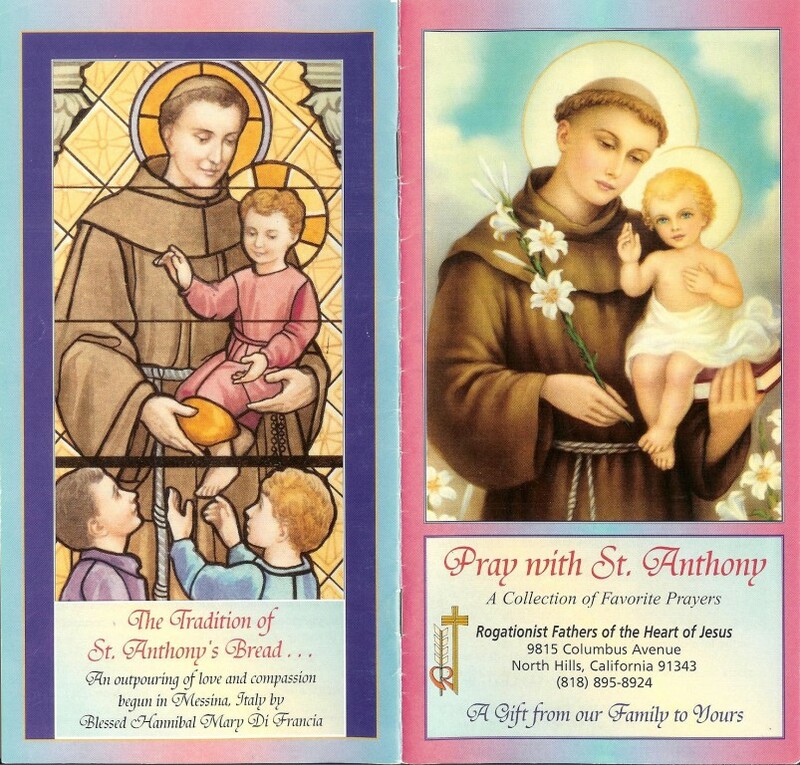 Happy St. Anthony Feast Day. 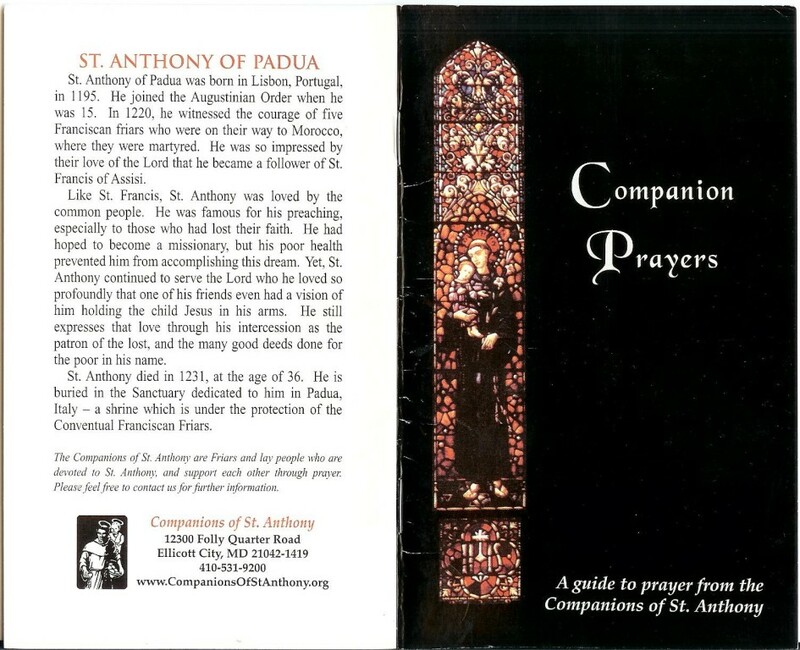 God bless us all faithful devotees of St. Anthony and Our Lady of Guadalupe. I’m Doug Labra’s wife. Actually, we have not communicated yet with the girls, Julie and Rosita. It just happened that I saw your name and the girls’ names while surfing on the net. I was so glad to read that we have the same devotion to our Lady and the saint that I’m interested in becoming your friend, if it’s okay with all of you. Can I have your email address and the girls’, too, since the Lady and the saint led us to this friendship? Praise be to God and mama Mary. By the way, we are from the Philippines. It’s wonderful meeting you, too, Sheila! In fact, I’m amazed every day to find how small the world actually is, thanks to the Internet. From what Azalia’s told me, the girls don’t get on the computer as we do, much less use email. So, of course, you can communicate with them (us) here at this site, especially since I access the blog daily. So are you and Doug living in the Philippines? Or do you live in the states? For years now, we’ve known some wonderful Filipinos from St. Paul’s Church whom we consider family much more than friends. Sooo, welcome to the “neighborhood,” even though you’re there— wherever that is— and we’re here. 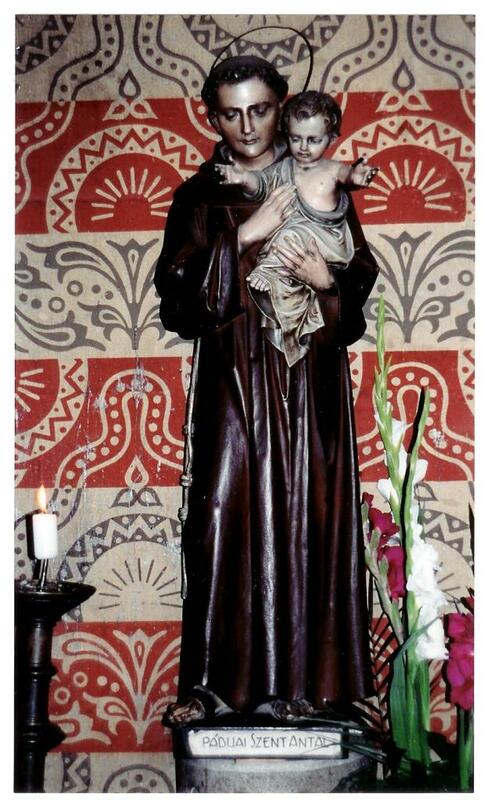 As for St. Anthony, tomorrow is his feast day! Happy day! We’re so blessed to have him as a special friend, one sooo devoted to the Infant, our Lady’s JOY. We have much to be grateful for.